While I was getting dressed, Tom went out to feed the parking meter outside our hotel. 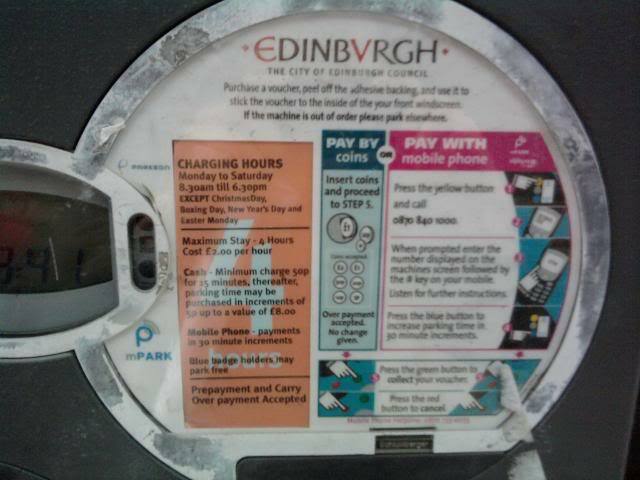 Edinburgh is a very old town and they didn’t plan on parking lots when they built it. Their system is – you find a ticket box with confusing directions and put some amount of coins in it. If you’re local, you can get a mobile app. The machine spits out a voucher that goes on the car dash. We did it wrong the night before and ended up getting 2 vouchers to put on the car. The police woman was coming by and we explained to her why there were the 2 vouchers. Then we went into the little restaurant there for breakfast – we’d paid for it when we checked in. At first, I thought the usual cereal/fruit/yogurt spread was it but then they came and asked about eggs and hot foods so we had quite a meal. At check-out the hotel staff let us move our car into their tiny 6-car lot behind the building when we said we were touring Edinburgh for the day. That would save us some time and money running back to the meter. We walked back up toward the Castle to find our double decker bus and got all the way to the Royal Mile before we found it. We were able to sit on the top, although not together for a while. Palace of Holyroodhouse. This is at the end of the Royal Mile. We were lucky in that Queen Elizabeth was in residence – so we couldn’t go in 😦 She was there for some ceremony that was taking place in a couple days. Scottish Parliament. This building is really strange looking. I have some pictures in my slideshow at the end of this post. The good thing is that it’s right across the street from the Palace but I doubt that the royals ever walk. 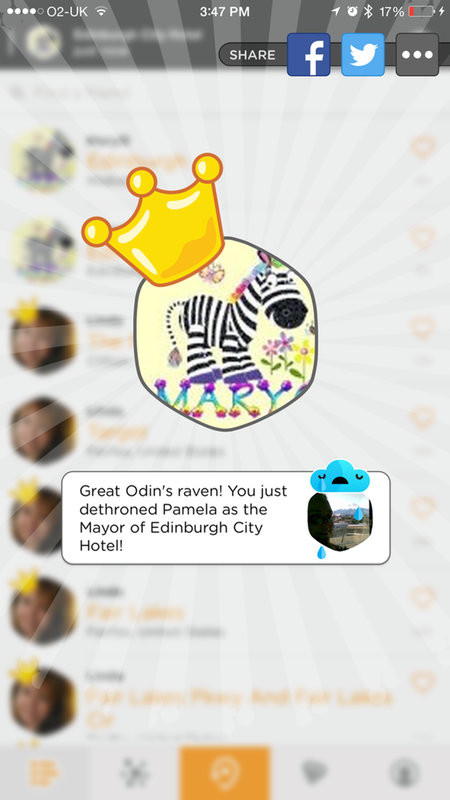 They probably don’t hike up the Royal Mile, either. Sir Walter Scott Monument. 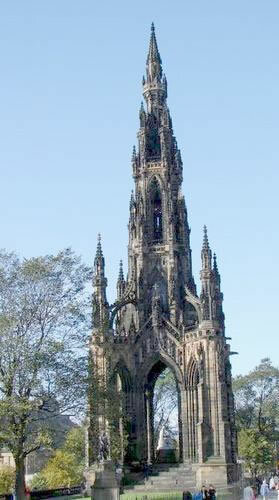 The Scott Monument is a Victorian Gothic monument to Scottish author Sir Walter Scott. It is the largest monument to a writer in the world. It stands in Princes Street Gardens in Edinburgh, opposite the Jenners department store on Princes Street and near to Edinburgh Waverley Railway Station, which is named after Scott’s Waverley novels.The tower is 200 feet 6 inches high, and has a series of viewing platforms reached by a series of narrow spiral staircases giving panoramic views of central Edinburgh and its surroundings. The highest platform is reached by a total of 287 steps (those who climb the steps can obtain a certificate commemorating their achievement – we didn’t!). Old Town. The Old Town (Scots: Auld Toun) is the name popularly given to the oldest part of Scotland’s capital city o fEdinburgh. The area has preserved much of its medieval street plan and many Reformation-era buildings. Together with the 18th-century New Town, it forms part of a protected UNESCO World Heritage Site in 1995. New Town. 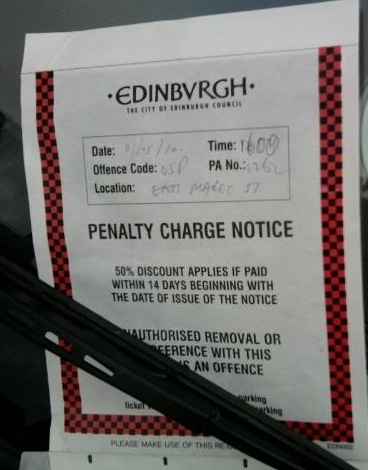 This is a central area of Edinburgh, the capital of Scotland. It is often considered to be a masterpiece of city planning It was built in stages between 1767 and around 1850, and retains much of the original neo-classical and Georgian period architecture. Its most famous street is Princes Street, facing Edinburgh Castle and the Old Town across the geographical depression of the former Nor Loch. Grassmarket. It’s a historic market place located directly below Edinburgh Castle and forms part of one of the main east-west vehicle arteries through the city centre. The view to the north, dominated by the castle, has long been a favorite subject of painters and photographers, making it one of the iconic views of the city. Edinburgh Castle. I loved how we could see the Castle from everywhere. Look down an alleyway or a close and there it is looming over the city. Greyfriars Bobby. I had never heard of this until this bus tour although we had walked by the statue 3 times already! On our 4th pass-by, we saw several people taking pictures of the statue. I guess they knew. Bobby was a Skye Terrier who became known in 19th-century Edinburgh for supposedly spending 14 years guarding the grave of his owner until he died himself on 14 January 1872. The story continues to be well known in Scotland, through several books and films, and a prominent commemorative statue and nearby graves act as a tourist attraction. The Elephant House. Opened in 1995, The Elephant House has established itself as one of the best tea and coffee houses in Edinburgh. Made famous as the place of inspiration to writers such as J.K. Rowling, who sat writing much of her early novels in the back room overlooking Edinburgh Castle. J.K. Rowling started to write parts of Harry Potter here. A huge sign on the entrance let’s you know the following: “This is the birthplace of Harry Potter”. To be fair to you, this isn’t 100% true! The house of Sir James Young Simpson, 1st Baronet (7 June 1811 – 6 May 1870) at 52 Queen Street.. He was a Scottish obstetrician and an important figure in the history of medicine. Simpson discovered the anesthetic properties of chloroform and successfully introduced it for general medical use. The house of Alexander Graham Bell. He lived from March 3, 1847 – August 2, 1922 and was a Scottish-born scientist, inventor, engineer and innovator who is credited with inventing the first practical telephone. Our driver also pointed out that Edinburgh was actually 2 cities, one above the other and we could see that when looking down all the bridges. We were usually on the top but there was more going on below. I have to say that inside the castle, everything goes uphill. It takes about 20 minutes to make it to the top and I just couldn’t make it, thanks to Cushing’s energy issues and my leg biopsy. I felt so guilty. I had wanted to get to the top to see the Scottish National War Memorial. I know my grandfather’s name is inscribed in the Book of Remembrance there. I felt really terrible that we had gotten so close and I just couldn’t make it the final trek up the hill. Hopefully, I can be stronger another time and see this. Rick Steves video on Edinburgh, including inside the castle. After sitting and resting for a while, we headed back down the castle hill, the Royal Mile and down the street towards our hotel. On the way back, a hoodie outside a store caught my eye. While we were looking at it, a guy asked if he could help find my size. He had just been walking up the street but he was the shop owner. We went in and found something even better, with a matching one for Tom. I ended up also buying a cap and some other stuff. While I was looking around, I realized this was the same store where we’d bought the junk food for dinner the night before. I had been so tired/hungry that night I hadn’t even noticed that they sold hoodies, tshirts and stuff. The shopkeeper spent a lot of time with us, looking in the back for the matching sweatshirts in the correct sizes. When he was done, he threw in a package of Walker’s shortbread for free! I wish I could remember the name of this shop so I could give it a good review on Trip Advisor. We save all our receipts, so hopefully I can find that name. We continued on our way and a guy with sequined gold dress came running out of a doorway. I sure hope he was part of the Fringe Festival! The drive back was pretty uneventful. 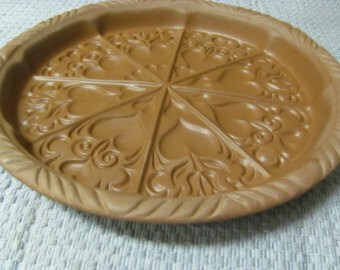 We had some of the shortbread and I have to say it wasn’t nearly as good as mine. When we got back to our place, I found out why. We saw those tent people by the side of the road again. Gypsies? I couldn’t get a picture again. I’ll have one more time to try this on Saturday. They’ve been there at least 5 days. Surely, the police have seen them. It turns out that Walker’s uses whole wheat flour and I use rice. They use sugar, I use confectioner’s sugar. Other than that, the ingredients are the same. The flour, butter, confectioner’s sugar and a bit of salt. Walker’s is definitely not bad, just different. When I was a kid, my dad’s congregation had a lot of Scottish members. One of the worst insults that could said was “She makes her shortbread with margarine“. What an epithet! I did get to go to a Rare Disease Conference at the NIH last month. That was just a day trip but it was a good one. I always like going back to NIH. I spent so much time there when I was being diagnosed with Cushing’s and post-op that it feels like a second home to me. We had lunch in the real cafeteria – more memories. When I was an inpatient, my DH and young son would come visit most nights and we’d have a late dinner there. Last November 30, my son and I got to play a 2-piano duo in the Steinway Hall Rotunda in NYC. As it turned out, we were the last ever people to play there before they moved to a new location in Manhattan. We are currently getting ready to play a duet (1 piano) at the temporary location for Steinway in early June, 2015 …the same day we leave on a cruise to Bermuda. Talk about a tight schedule! After the November recital, we went to see the Intrepid in NY Harbor. Across the water, a couple berths over I saw a cruise ship departing. I didn’t know/didn’t care where they were going but I found out. For Christmas, everyone’s gift was a cruise on the Norwegian Breakaway to Bermuda. More on that later. Also, this summer will be a trip to Scotland to see and hear the Edinburgh Tattoo. This has been on my bucket list for a long time. My grandfather was in the Black Watch and I just love to hear bagpipes. Even my cellphone ringtone is Scotland, the Brave. A bit more about him here.